All pictures of the complete plane taken before re-build started. This is a unique yet very desirable airplane. 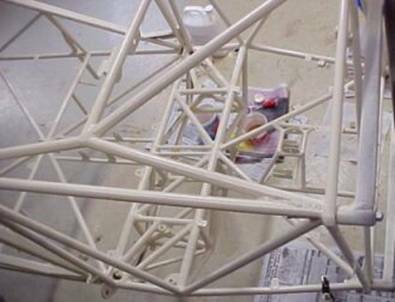 With it you have all the benefits of homebuilt registration (reduced maintenance costs, flexible airframe mods) but with all the confidence of proven Cessna and Lycoming technology. 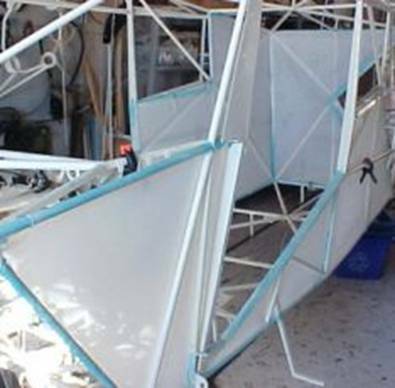 While it is a one of a kind design, it has been proven over close to twenty years of use so you are not going to be the test pilot. 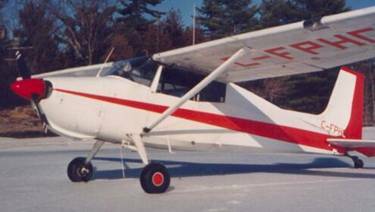 Flown to Sun n Fun twice and northern Ontario several times. 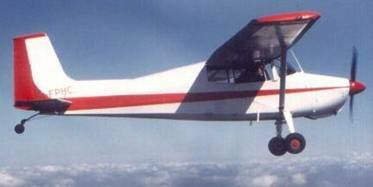 The aircraft was first licensed in 1982 and has flown regularly and with no glitches until 2000 (450 total time). While I did finish and license the aircraft, the major work was done by someone else (Harold Kadey). Performance is excellent. Handling is just like a 180 hp Cessna 170. 180 Lycoming with CS McCauley prop (zero since inspection on prop), Fresh $5000 Leggat top on engine: all cylinders (engine is 320 SMOH in early 80’s zero since top and internal inspection). It is a very smooth running 180. 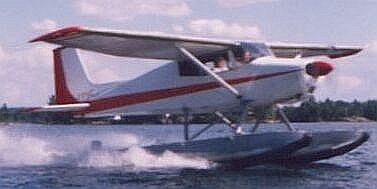 2425 floats with dual water rudders and pump outs (These floats and rigging came off an early Cessna 180 and fit with no changes.) They need paint and bumpers and I haven’t looked at them in a few years.. 2425’s provide good flotation and are a flat top float. Metal wing tanks (35 gallons, fuel gauges are mechanical with indicators in the ends of the tanks visible form the cockpit). 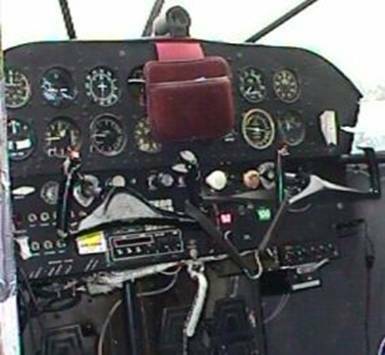 The fuel selector is Cessna but mounted on the back of the firewall with handle on the lower instrument panel beside trim wheel. All control surfaces are metal. 3 or 4 seats, huge baggage area, 6’ flat floor for camping (over 8.5’ from rudder pedals to back of baggage area). 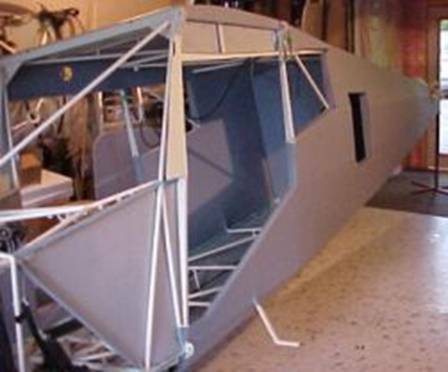 Cessna lower cowl and nose bowl but Piper style upper cowl with two large doors that provide wide open access to engine. Each cabin access door is split horizontally with top hinged at top and bottom hinged at front). 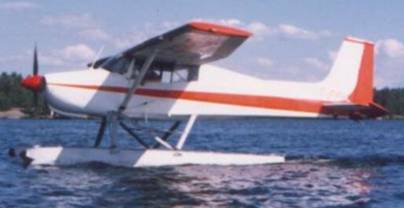 172 straight tail; 172 balanced elevators, trim tab and rudder. Cessna trm wheel mounted below instrument panel. 720 channel radio. Basic panel but room for full gyro. Empty weight about 1400 on wheels. 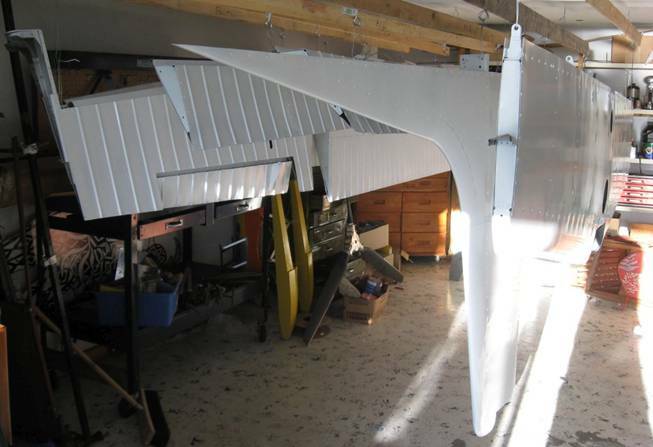 A friend’s recently rebuilt 170B weighed 1445 with the 0-300 engine and fixed pitch prop. The nose slopes down a little more than a Cessna so over the nose visibility is excellent both taxiing and in flight. Here the plane is also in Florida during another Sun n Fun trip.. This shot shows that the plane has been totally stripped down. You are looking down through a point between the firewall on the right and the location of the instrument panel on the left. The truss below is for the gear attach: quite rugged. The containers are catching tube oil. Next is the interior fabric going on. Above, covering is on but not taped; have the new windshield and have picked up the “new” engine. Below the covering is finished and UV block on. The wings and tail are 2/3rds stripped now. The plane is located in south eastern Ontario near Peterborough. What is history of engine? better if it went through a shop for a top and internal inspection. 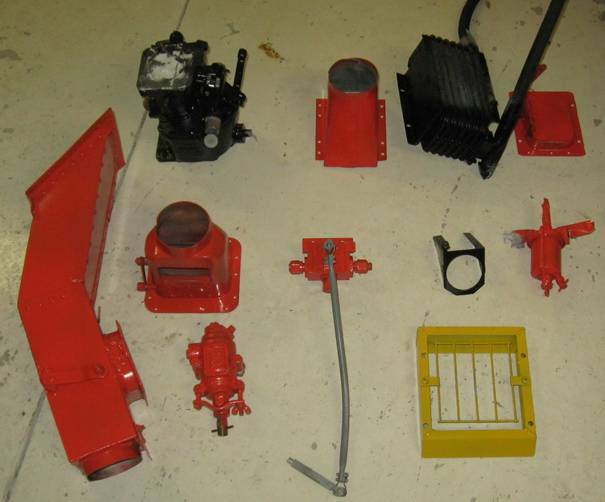 Why did I take the plane apart? misalignment of the elevator control horn pivot which I fixed. a frame for a baggage door on the left side. The tail wheel steering cables needed fair leads. The windshield was getting scratched. 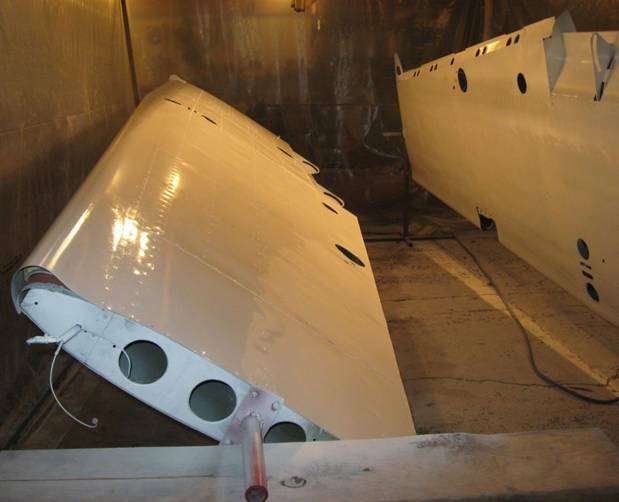 There will be a long metal inspection panel at the tail to make it easier to get at tail spring and cables for float change over. There won't be a fancy interior if any in it just regular covering fabric painted. The top fabric goes right to the windshield. To strengthen the fabric just aft of the windshield I’ve added about 16” of metal. When refueling with cans on floats it is sometimes handy to set a can in this area or even to slide across to the other side. but pretty sure I could get 2400 now. It may come out a bit lighter this time. On one fishing trip to Chapleau on floats we had three guys and gear with no problems. 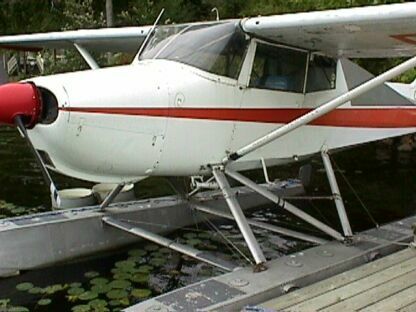 Another time, my son and I refueled at Orillia on floats. A 180 landed, dropped his passenger, did not refuel and took off with just the pilot. We noted his take off time and distance. When we then took off we compared our time and distance and found that we were a few seconds longer but used up less distance and we definitely had more load. Granted a 180 would be a better performer with heavier loading with its 50 extra horsepower but this one is not far behind.